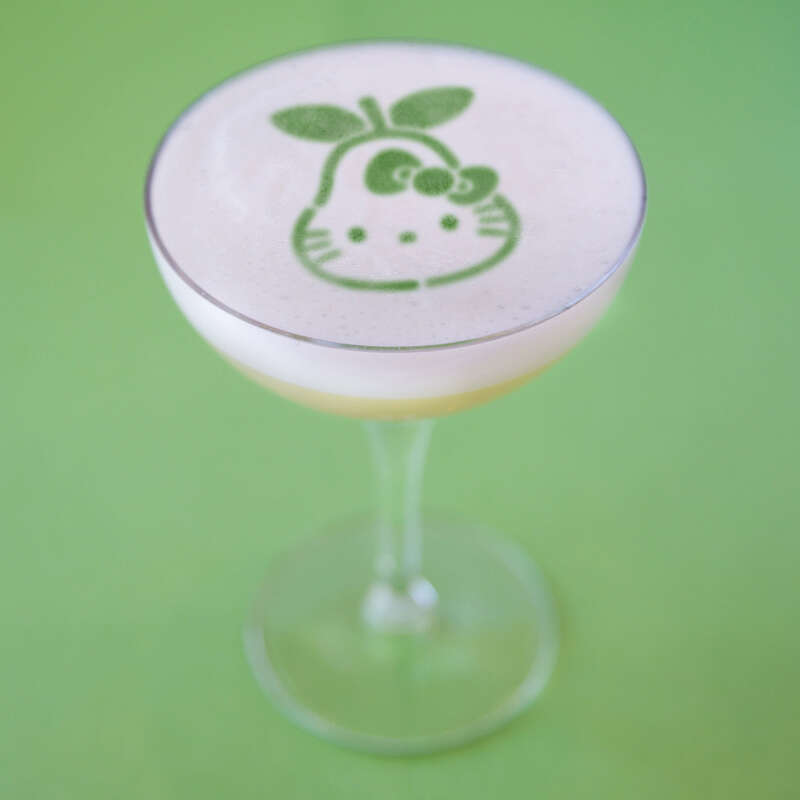 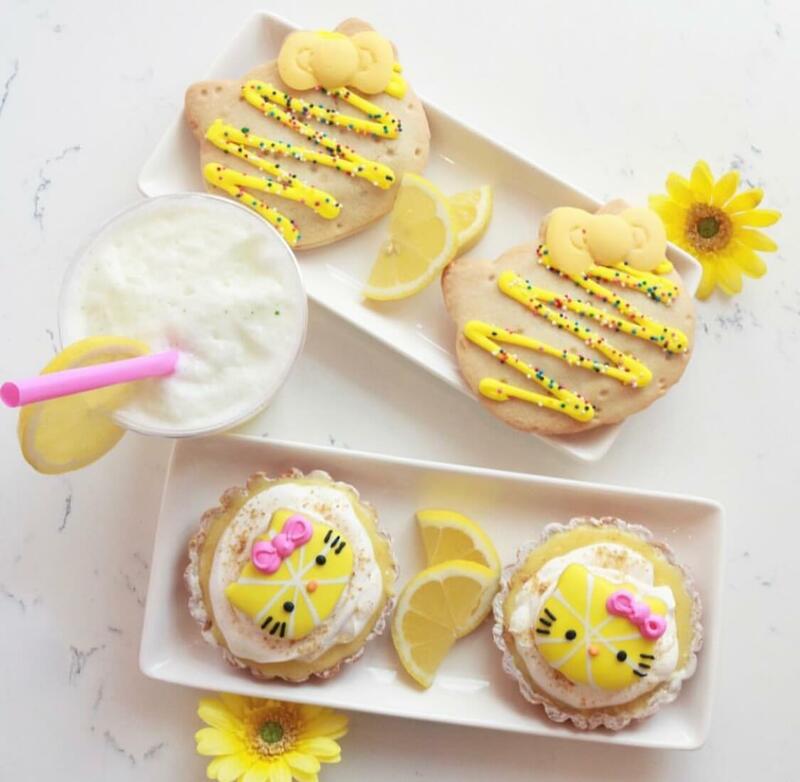 As if Hello Kitty Grand Cafe could not get more kawaii, there are now eight new spring-themed libations as well as zesty lemon desserts to fawn over. 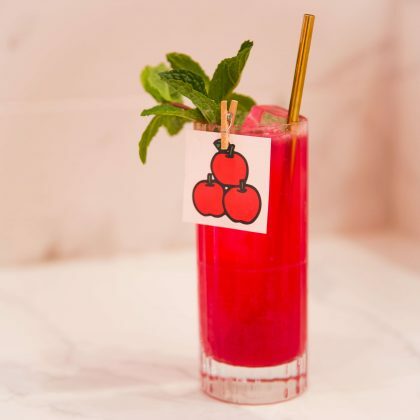 At The Bow Room, you’ll step into an anime-like wonderland of plush, rose-gold booths, glossy marble countertops, and an adorable array of refreshing cocktails crafted by Bar Director Emily Delicce. 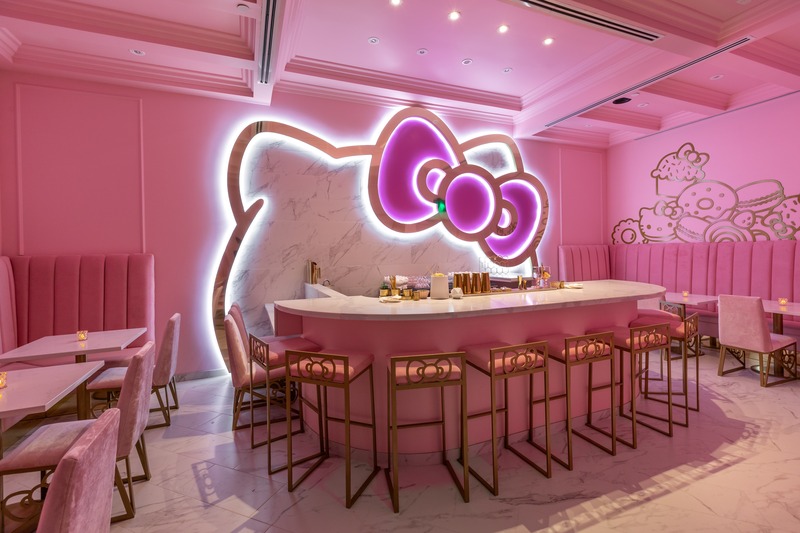 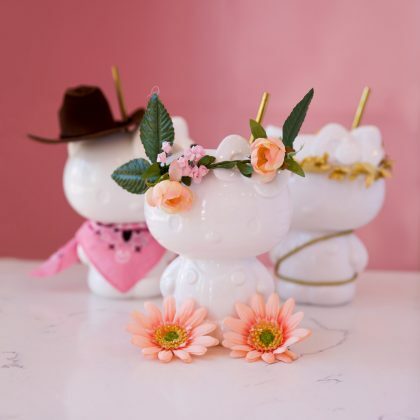 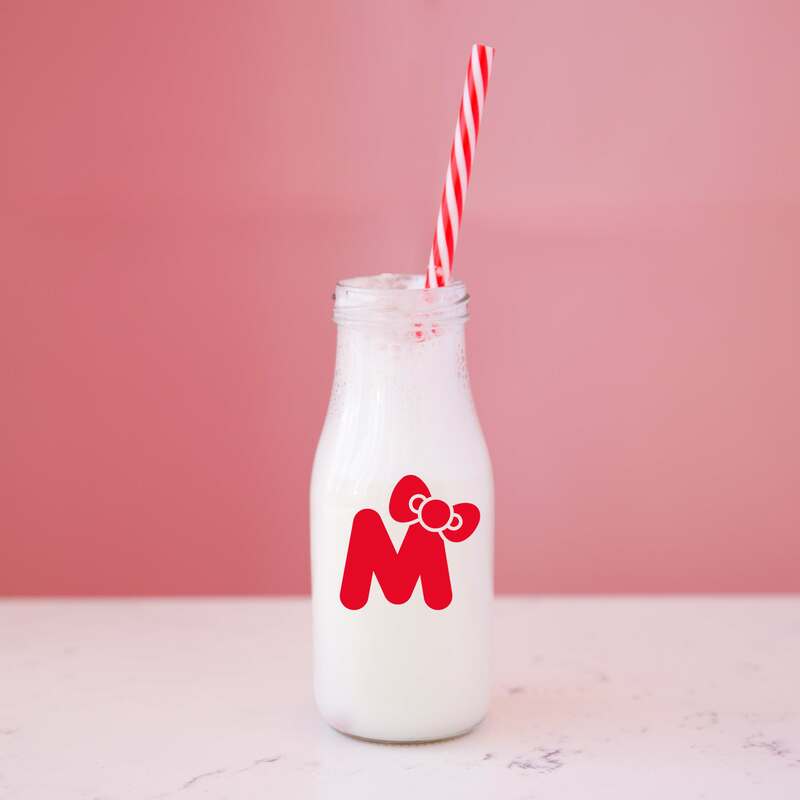 Under the glow of neon lights, you’ll sip from Hello Kitty-shaped mugs styled with handcrafted costumes designed by Delicce herself. 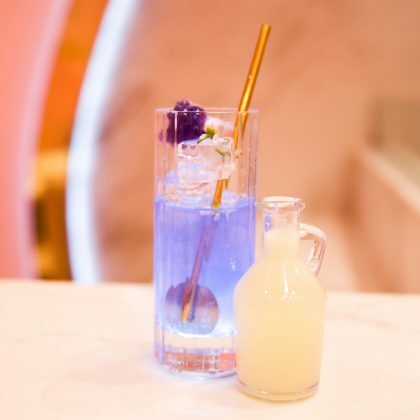 From tart to floral, there is a spring cocktail for every palate ($16 to $23). 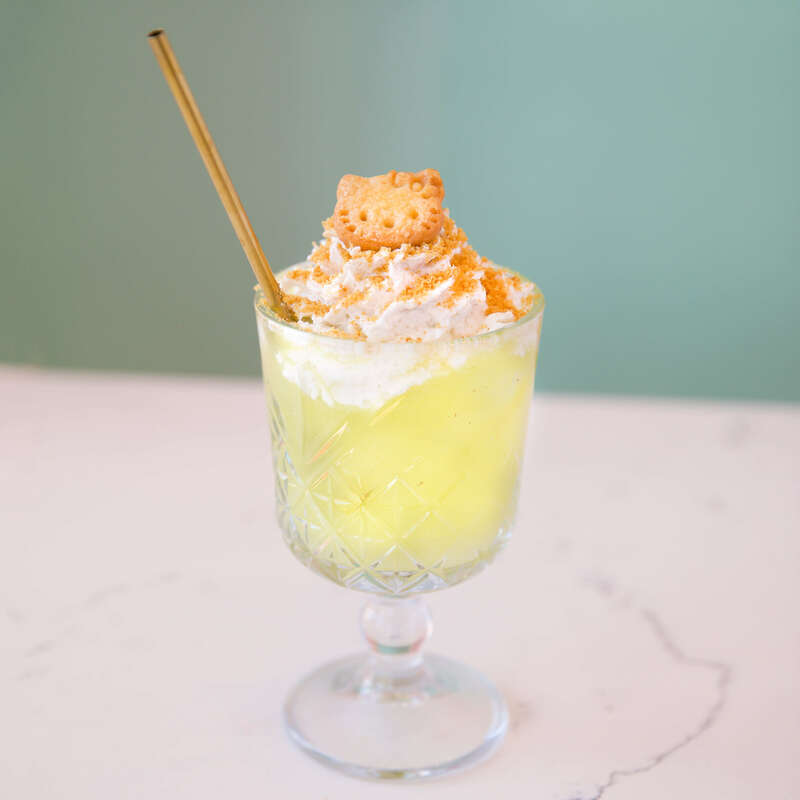 We love the creamy yet citrusy concoction M is For “Milk” with gin, yuzu, lime, cream, and aquafaba (egg substitute) and the fruity Kitty Island with gin, kiwi, Bitter Bianco, and citrus topped with coconut whip and brown-butter graham cracker crumbs. 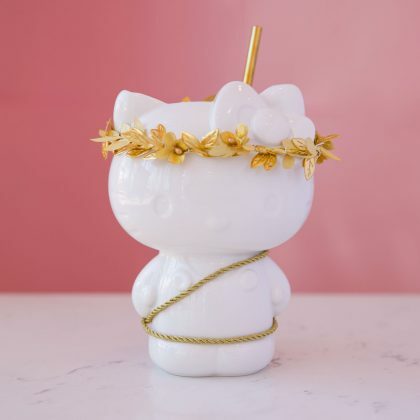 If you’re into tiki drinks, get the Howdy, Hello Kitty with rum, mezcal, pineapple gum, cashew milk, banana, sherry, bitters, and citrus. Grab-and-go treats are also available from the Grand Cafe, such as the seasonal lemon pocket pies and mini doughnuts ($4.75 to $6). 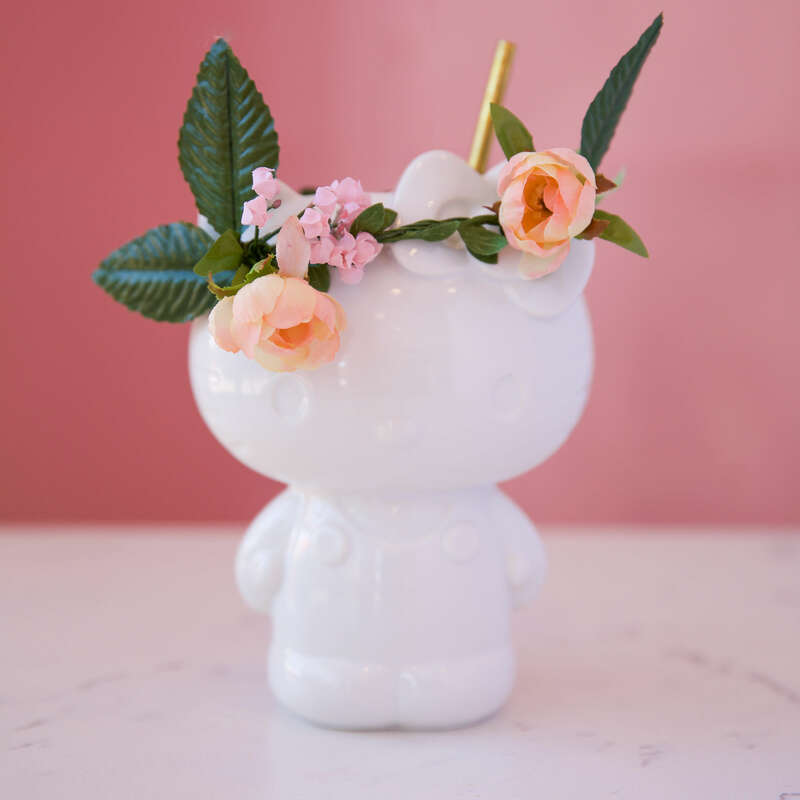 Or lengthen your visit with afternoon tea, when seasonal items are also offered. 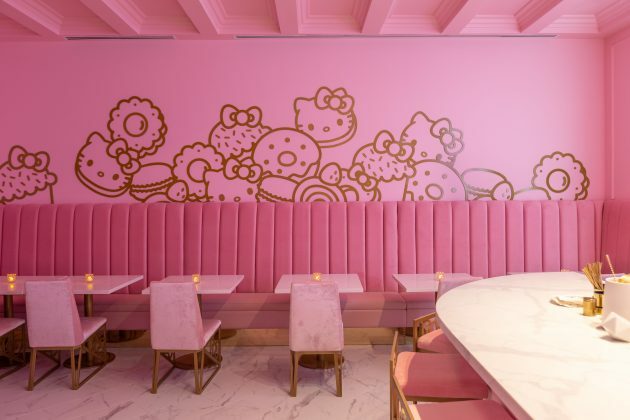 Good To Know: Reservations are recommended for The Bow Room, although walk-ins are accepted on a first-come, first-served basis. 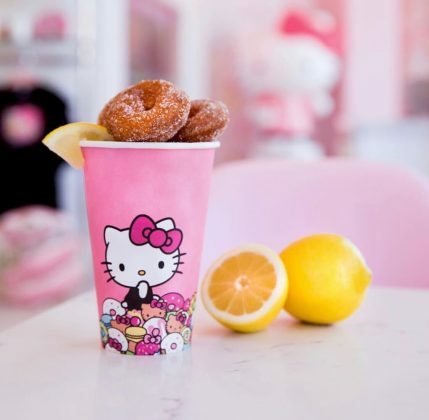 Wednesday through Friday 11 a.m. to 4 p.m.
Tuesday through Thursday 5 p.m. to 9 p.m.
Saturday 6 p.m. to 11p.m. Make your reservations for The Bow Room at hellokittycafe.com or on its Yelp page.